For me, a ‘life time’ is actually a bit of an exaggeration. I’ve only been *really* into wildlife photography for about two years now. But I’ve had a life long love of cats (big and small) and have always dreamed of seeing one in the wild. I have lots of experience with the domestic variety. When I was young, I would often open up our heavy, hard-covered encyclopedia to the tiger page. I was fascinated by the pictures of these beautiful, massive cats. I vividly remember staring at a picture of a tiger’s face that encompassed the entire page. The expressive eyes invited me into an exotic world that was only accessible by my imagination. I saw the same expression in the Lynx’s eyes, yet it was in my reality for a brief period and I was lucky enough to capture the moment. 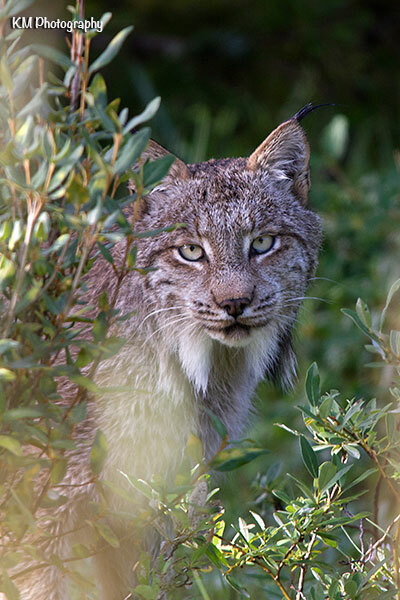 See Dee Cresswell’s lynx photos here. 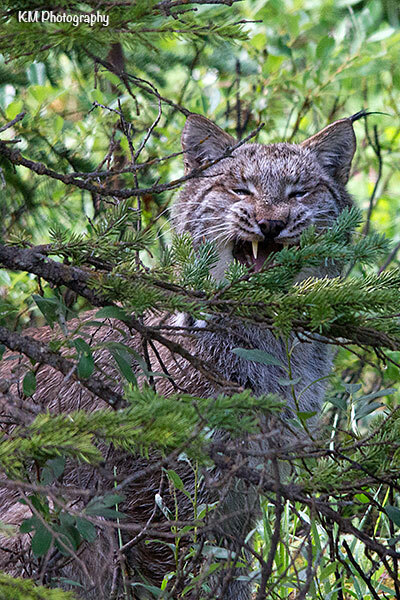 See Duane Starr’s lynx photos here. I was aching to get out to Lake Louise! The one time I tried, I was thwarted by a snow storm. Winter came and went and I figured I missed my opportunity, but it was all good. Whenever I find myself disappointed, thinking I missed seeing something cool, all I need to do is remind myself I have a lifetime of wildlife surprises ahead of me. I had an amazing surprise on that quiet Tuesday morning and I am so grateful for the experience. Next on my local list is a cougar, and I will patiently wait for that encounter. In a couple of years, I am hoping to visit Africa and find lions, cheetahs and leopards, adding to my list of wild cats. Maybe tigers will be next. Regardless of what I see in the future, my memory of the encyclopedia tiger coupled with this lynx sighting will always remind me of the everyday miracles waiting to be found in nature.